One of the most notorious unwritten rules of theatre is never to work with children or animals. Difficult divas at the best of times, the combination of the two would arguably be a theatrical nightmare for both the director and the chaperones. Despite this, children, and young children specifically, can often become the selling point of the production, be it a West End musical, touring production or a large-scale ballet, simply due to their irresistible appeal. Specifically referring to London’s West End theatre scene, musicals such as Mary Poppins, Matilda and Billy Elliot have all focused directly on telling the stories of children. The ballet shoe donning Billy has had a worldwide appeal for its audiences; the story of the aspiring male ballet prodigy warming the hearts and legwarmers of many. The magical world of Matilda has additionally entranced audiences from its inception, with a similar enchantment of Mary Poppins felt for the London and UK stint of the production. The combination of dance and the charisma of youth is a pure winner. 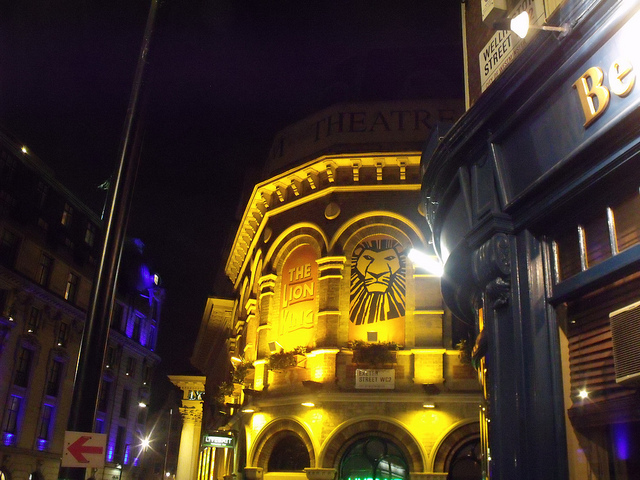 The interweaving of leotard-based animals and little lion cubs of The Lion King has proved a hit, with an extensive run in London and elsewhere in the UK such as Bristol and Manchester. Similarly, the touring and London-based Nutcrackers‘ children are palmed between the twinkling tutus of the Snowflakes and the feisty tights of the Rat King, charming both the children and the adults of the audience alike. Naturally, the employment of children in theatre does raise many questions, but undoubtedly the largest is… how well can the show sell? The talent of the performers and illusion of the theatre is a main influence in selling tickets, yet the inclusion of children is undoubtedly a sure-fire way to make audiences skip all the way to their seats.